See the Lodging section below for details and the complete Price Chart. Download a PDF or a Word doc. KEYSTONE IS THE SPRING BREAK TRIP FOR YOU!! Ski Breckenridge and Beaver Creek too! 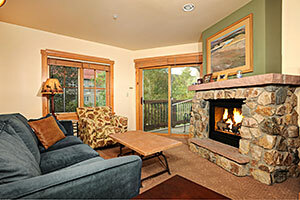 The most sought after lodging destination in Keystone. River Run Village, the newest base area resort, is located at the base of the River Run Gondola which means you are just steps away from hitting the slopes! These condos are actually made up of several buildings that are located in the River Run Village Neighborhood. You can walk from one end to the other in less than 5 minutes so no matter what building you are in, you are close to the Gondola. River Run Village is a hotspot for its location because of all the shops, restaurants, skating rink and nightlife located just steps from your front door! 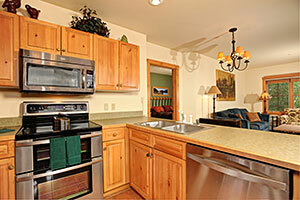 Each condo is equipped with a full kitchen to make breakfast or dinner. Choose from 1, 2 or 2 bedroom with a Murphy bed. Lift Tickets: Free Night Skiing, Sat Night March 11th!! That is 7 days of skiing!!! Your lift ticket is fully interchangeable at Keystone and Arapahoe Basin. 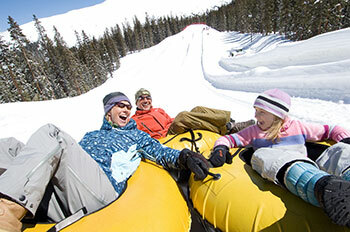 Purchase 3 or more days and now your ticket is valid half the time at Breckenridge, Vail and Beaver Creek! Local transportation is available for these mountains, however, this trip has a group day at VAIL!!! 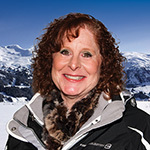 Diane and I will choose one day where we will travel as a group to Vail, CO on our complimentary transportation plus a $15.00 lunch voucher! Keystone Colorado is famous for having the largest mountain in Summit County. 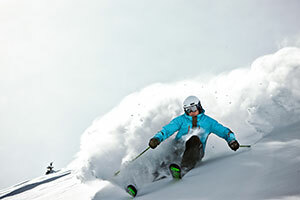 How about 3,148 skiable acres, 135 trails, 20 fast lifts including an 8 passenger gondola. Vertical is 3,128 and the summit? How about 12,408!! Keystone also has the LARGEST NIGHT SKIING operation in Colorado!! Watch the sun set over the beautiful Rockies while getting in a few more runs. Choose from 3 different mountains to choose. Which one has your name on it? Dercum Mountain, at 11,600 ft, Dercum is home to the long green and blue runs that will keep you cruising all day. This is an awesome place for beginners and intermediate skiers and boarders. Want tree skiing? Head up to the Windows, for some legendary tree skiing. North Peak – Takes you up to 11,660, you will find the skiers and boards who love the long trails full of bumps. Have fun working on your technique on an array of blue and black runs. If you are hungry, stop at the Outpost. They are at the top! 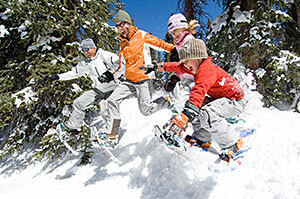 The Outback – The tallest mountain – 11,980 ft.Long, well-groomed runs, powder and bumps is what you will find here! But wait, there is more! You will find some of Colorado’s best tree skiing in the North and South Bowls. Hike or take the Outback Shuttle to access those areas. A51 For Boarders – Let’s not forget about our boarders!! A51 has one of America’s best terrain park with 60 acres and 100 features. This mountain has its own specific lift! Named top ranked parks by Freeskier and Transworld Magazines, you won’t find any better place to be. You shredders and jibbers are going to LOVE IT! Cat Skiing – For those seeking adventure, high above all those blues and greens, you will find Bergman, Rickson and Independence Bowls. Travel above treeline to 12,000 feet for the view of Keystone. Want to ski the whole day? 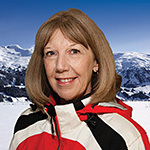 Well your day will be complete with guides, the best runs and an awesome catered lunch in a warming hut. Kidtopia!!!!! – A festival designed just for kids with daily and weekly events. Check out the Snow Fort! This is the largest snow fort in the United States!!! Located at the top of Dercum Mountain the fort is free to explore it just requires a lift or gondola ticket. Your kids will love the dragon themed castle with tunnels and look outs. Your kids can meet the Avy dog, dance to a live DJ, have their own Apres ski and so much more! Oh! And every day there is a cookie hour. Yes mom and dad, you can have a cookie, too. And on Saturday night, watch the Kidtopia Fireworks which are viewable from River Run Village! Snow Tubing!!! During the day or under the lights! 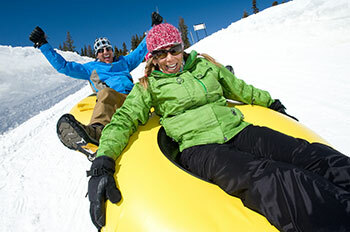 In Keystone, snow tubing take place at the top of Dercum Mountain AT Adventure Point. Start at the top and go as a group or by yourself. Go straight or how about a spin?? Want to go again? Take the magic carpet back to the top, no trudging in Keystone! Watch out for theme nights! What a fun family activity!! Reservations recommended. Prices are per person. Accommodations are assigned in order deposits are received. No space is held without a $250.00 per person deposit. Early commitments get first choice! All prices reflect a cash discount. There is a 3% convenience charge for credit card transactions. R/T Air on Southwest – Two free bags! !, Lodging, motorcoach transportation, Après skis, porterage, mid-week cleaning service, and a fabulous banquet dinner. $250.00 per person with a completed and signed trip application. See above for trip application options. All cancellations must be received in writing by November 26, 2016. See cancellation policy on the back of the trip application.